Don&#39;t Breathe (2016) film review directed by Fede Alvarez. Ghost house Pictures, distributed by Screen Gems, and Sony Pictures. Certificate 15 running time 88 minutes. Don't Breathe (2016) film review directed by Fede Alvarez. Ghost house Pictures, distributed by Screen Gems, and Sony Pictures. Certificate 15 running time 88 minutes. From The director of Evil Dead 2013 Fede Alvarez comes this very tense thriller, starring Jane Levy (The Evil Dead) Dylan Minnette ( Goosebumps) and Daniel Zovatto ( It Follows) a pure adrenaline ride for 80 minutes, that is surprisingly very good, a confusing film as we as an audience never quite know who to route for, the blind man protecting his property, or the teenagers who break into his property. With even the director saying on the special features " there is no good guys are bad guys, just victims" so this is a film to make your mind up who is right or wrong in this great thriller. Three older teenagers take advantage of one of their dad's security companies to break into houses, by using spare keys in his possession. They choose the wrong house though belonging to an ex army veteran, although blind, has all his senses to fight back, with a known $300,000 dollars in his possession after a recent pay off, an insurance claim, in which he lost his daughter in a car accident. We have a grieving war veteran with nothing to loose, whilst defending his home violently from these home invaders. To say too much would actually ruin your viewing pleasure of this film, the films ending is brilliant but equally frustrating. You do find yourself wanting these kids to get away with it, but equally thinking they are actually breaking the law, breaking into someone's house for thier own selfish gains, so you actually want the blind man to fight back. With a twist two thirds in, makes your choice who should win this stand off even harder, my money was always on the blind man " Steven Lang" but you have to watch to see who survives the stand off. 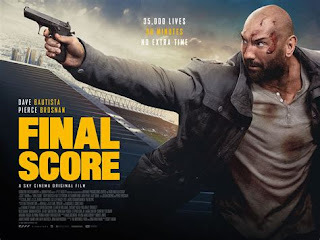 An outstanding film, very tense, extremely well acted from all involved, with some great violent scenes, and one of my favourite films I've seen so far this year, although the ending wasn't to my satisfaction others will probably like it as it is very clever. A recommend film, that comes with some great special features and making of' with a digital download code for ultraviolet. Eight Deleted Scenes with Director's Commentary. Commentary with Director Fede Alvarez, Co-Writer Rodo Sayagues and Actor Stephen Lang. 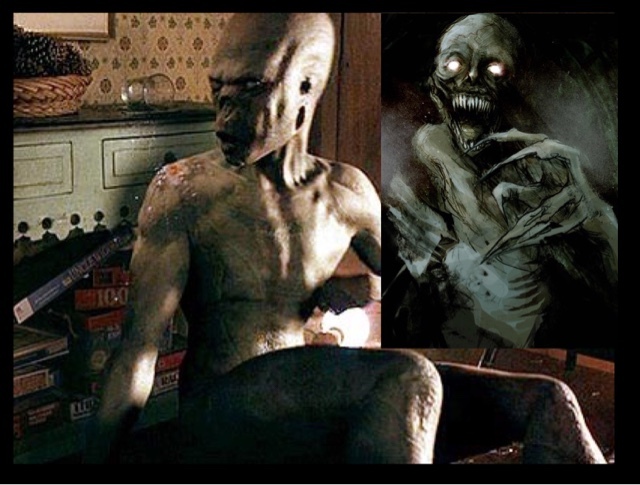 If you liked this movie other recommendations try The People Under The Stairs, Cujo, Intruders and The Texas Chainsaw Massacre.